The civilian death toll for the past three weeks alone in the Gaza Strip has risen over 1,500, hundreds of which are children. This is a clear indication that the Israeli forces are not exercising restraint, but rather, are committing war crimes. Article 51 of the UN Charter states clearly: “Nothing shall impair the inherent right of individual or collective self-defence if an armed attack occurs against a Member of the United Nations.” Israel’s right to self-defense in occupied territory has been questioned by many international legal scholars, and dismissed by the International Court of Justice in its Advisory Opinion on the Wall, on the premise that Israel cannot invoke this right in territory it exercises complete control over. However, because the American media has centered almost entirely around the claim that Israel is defending itself, we must assess Israel’s bombardments and their legality. This conflict has not occurred in a vacuum, and as such, it is worth noting that the West Bank and Gaza Strip have been designated as occupied territory by the United Nations since 1967. The first talking point by supporters of the offensive is generally mentioned as a retort to the word ‘occupation.’ They argue that Gaza is no longer occupied and that Israel has no duty towards the Palestinian population. Furthermore, as for the disengagement plan, when Israel withdrew its 8,000 settlers from the Gaza Strip in August 2005 and placed them in the West Bank it continued violating Article 49 of the Fourth Geneva Convention in Gaza, which prohibits the movement of its own population into occupied territory. Under IHL, states are limited by two principles during a military conflict: distinction and proportionality. According to the ICJ’s Nuclear Weapons case, the principle of distinction is one of the “intransgressible principles of international customary law.” Article 52 of Additional Protocol I to the Geneva Conventions allows only the targeting of military personnel and military establishments, or in some exceptional cases, civilian establishments used for military purposes. In violation of this article, Israel has bombed several mosques and churches, which are also protected by the Hague Convention for the Protection of Cultural Property in Times of War. Moreover, it has destroyed the homes of at least 4,000 families (25,000 residents), and targeted a total of 747 residential buildings. Military objectives are limited to those objects which by their nature, location, purpose or use make an effective contribution to military action and whose total or partial destruction, capture or neutralization, in the circumstances ruling at the time, offers a definite military advantage. Common Article 3 of the Conventions severely qualifies that provision, and states clearly that persons taking no active part in the hostilities shall in all circumstances be treated humanely, even members of the armed forces who have laid down their weapons or are wounded. They are not legitimate targets. Only persons that are “directly participating in the hostilities” may be targeted. If the IDF is unsure if potential targets are Hamas members or not, the rules mandate that these individualsmust be treated as civilians. This is not a suggestion, it is an unequivocal law. Thus, even members of Hamas may not be targeted, unless they are actively engaged in combat against Israel at that time. Israeli officials reiterate that the IDF exercises the utmost care in avoiding civilian casualties. In the past three weeks, the IDF has targeted civilian neighborhoods, homes, schools, churches, entire apartment complexes, ambulances, UN buildings, places of refuge, electricity generators, water pipes and plants, and medical facilities, including Wafa Hospital in Gaza City, Al-Shifa hospital several times, and the Gaza Center for the Disabled. The list goes on. On July 29, the bloodiest day for Gaza, over 128 Palestinians were killed, many of whom were children. The recent Israeli attack on a UN school was carried out after the IDF received 17 warnings from the UNRWA requesting that they not target the school. It resulted in 15 deaths and many injuries and international condemnation, in particular by Secretary General Ban Ki-Moon who was horrified at the attack on sleeping children. These cases are all evidence that Israel does not exercise the utmost care in avoiding civilians, rather it targets them intentionally, without a care in the world. The situation in Gaza was already dire due to a crippling economic blockade and prior Israeli bombardments, now it is almost unlivable. 1.8 million people have little or no access to water resources or electricity, 280,000 are internally displaced, and the civilian death toll is rising. OCHA reported that between July 21 and July 23, one child in Gaza had been killed every hour. Now, the deaths of children are at 11 per day, according to UNICEF. Police officers in Gaza, clear civilians under international law, have also been targeted by the IDF, including thehome of the Chief of Police, which resulted in 15 casualties. In the past three weeks, six U.N. workers have died. Israeli officials stress that when the IDF targets militant areas, it does so proportionally, and if civilians are caught in between the crossfires, this is unfortunate, but legitimate because it serves a military objective. Under the principle of proportionality, as enumerated in Article 5 of the Additional Protocol I, any attack by bombardment or any other means that is intended to destroy a single or distinct military targets in a highly populated civilian area AND is expected to cause incidental loss of life is unlawful. The Gaza Strip is one of the most densely populated places on Earth, with a total of 365 square kilometers. A recent Washington Post article compared the size and population density of Gaza to Boston. With 44% of Gaza off limits due to an Israeli declared “buffer zone,” and missiles raining down at all times of day, that doesn’t leave many places for civilians to hide safely. Thus it is no surprise that the majority of those killed have been civilians. In the one of the most horrific acts of violence, Israel attacked the city of Shujaiyah, with 120 one-ton bombs, killing over 100 Palestinians, including dozens of women and children. Just last week, the IDF attacked a crowded marketplace in Shujaiyah, just after announcing a four hour truce, which resulted in the killing at least 17 and injuring of 160. A perceived military advantage cannot justify the mass murder of innocents, under international law. This claim has been used over and over again, and rejected by international officials, over the course of history, and most recently, with regards to the Serbian 44-month siege of Sarajevo. While Serbian generals claimed they only fired in self-defense, the reports of hundreds of shells raining down on densely populated areas said otherwise. Thousands of civilians were killed in the siege and bombardment. Today, the generals who led the offensive in Sarajevo, most notably Ratko Mladic, and the political officials in charge of the siege, such as Radovan Karadzic, are being tried for war crimes in The Hague. While there is an imbalance in casualties on both sides in the Gaza conflict, the numbers are not the determining factor in what make Israel’s actions illegal under international law. The fact that international law mandates a meticulous prior determination of whether a specific target will serve a military purpose or effectively contribute to military action, is. Almost all facilities targeted by Israel have not been proven to contain weapons or serve as command centers for Hamas. In fact, the schools confirmed by UNRWA to serve as weapons storage compound, (though a clear violation of international law), were empty. Several UN schools housing refugees have been shelled by IDF, killing UN workers and civilians, without any military goal in mind. On July 19, eight members of the Abu Jarad family, including a six-month-old baby and three small children, were killed in an Israeli air strike on Beit Hanoun. These were not legitimate targets simply because Israeli officials profess that Hamas hides weapons in homes or schools. They were war crimes. Under Additional Protocol I, any warning for civilians must be clear, credible and allow reasonable amount of time for people to react to it. When the IDF sends a warning strike over a building, just minutes before it bombs it, this is not what the rules are referring to. A statementby over 140 international scholars, including John Dugard and Richard Falk, previous Rapporteurs for Human Rights in the OPT, acknowledged that these leaflets are ineffective, and “appear to be a pre-fabricated excuse by Israel to portray people who remain in their homes as “human shields.” Witnesses of the attack on Khuza’a admitted as such. Hundreds who fled were arrested and remain in Israeli detention, some were prevented from fleeing by IDF tanks, while others reported that their homes were being used as military outposts. Palestinians who reach a shelter are not safe either. Israel has targeted dozens of buildings housing refugees, and 18 medical facilities. Almost 1,000 Palestinians took refuge in the Saint Phorphyrius Church in Gaza City, only to find that the shelling followed them there too. One of the most horrific incidents covered by all media outlets was the killing of 4 Palestinian children playing soccer on Gaza Beach, all from the same family. The Bakr children were not militants nor near any militants and were playing soccer right next to a hotel that most international journalists choose to stay in. Like any other human beings, Palestinians protect their children and loved ones, and would flee to areas of safety, if there were any areas safe from Israeli attacks. All people have the right to seek refuge in times of war. By blockading Gaza, Israel and Egypt have deprived the Palestinians of this right and trapped them in an impossible situation. This alleged restraint that the Israeli ambassador to the U.S. wants us to recognize is simply not present in any of the IDF’s actions. Israeli talking points promote the view that the IDF complies with international law. But when we look at these distinct cases, and the soaring civilian death toll, we are not fooled. Self-defense, if applicable in this case, warrants only the necessary amount of force to quell the armed attack. Israel is going above and beyond, and this operation will only be measured in the loss of lives, limbs, and loved ones in Gaza, and the continued terrorization of 1.8 million people. The Palestinian Authority has submitted a complaint to the International Criminal Court for the prosecution of Israeli war crimes in Gaza. If the ICC finds jurisdiction over Palestine, a non-member observer state, it will make history. 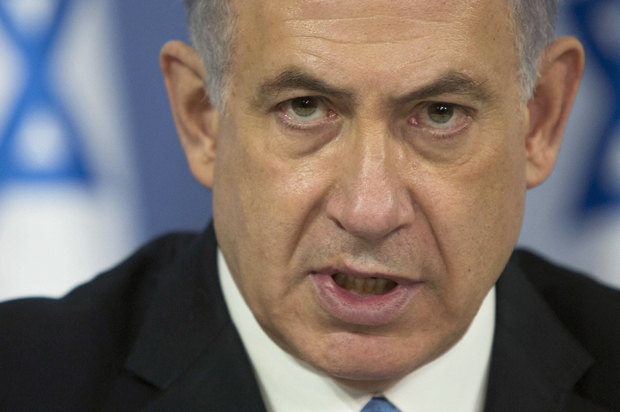 Israeli officials have threatened that they will submit claims of war crimes against Hamas to the ICC. To them I say, if you have committed a crime against humanity, you should be held accountable. The prosecution of all war criminals is the responsibility of the ICC, and we cannot allow another episode of collective punishment against Gaza to go unnoticed and unaddressed by the international community. There must be justice for the Palestinian victims of these blatant violations of the laws of war.